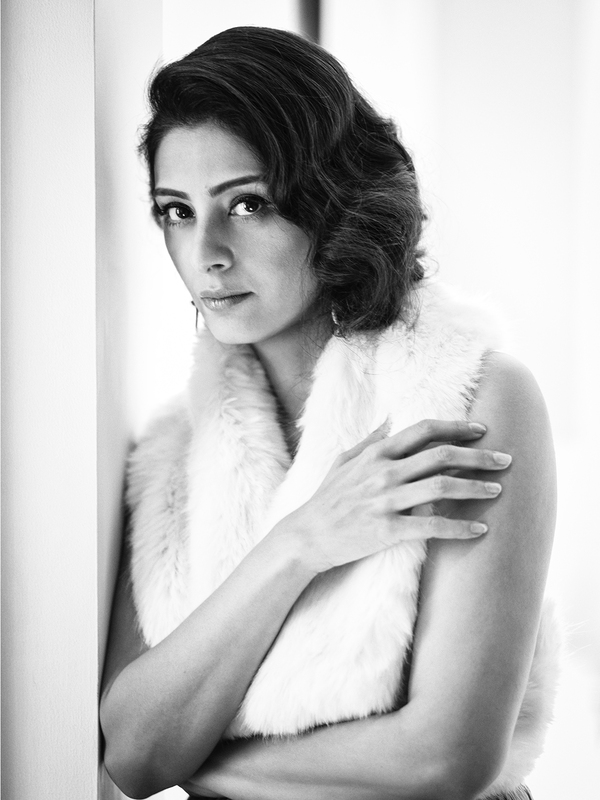 Tabu for Filmfare Nov’15 by Vivek Bhatia | personal.amy-wong.com - A Blog by Amy Wong. It was Tabu’s birthday yesterday, so happy birthday! The web was flooded with wishing-well graphics and trivia posts of some of the same-old same-old trivia bits. The best one was Jitesh Pillai  who shared some photos of the new issue of Filmfare Magazine– Tabu has a couple of pages in a shoot by Vivek Bhatia [Facebook], there doesn’t seem to be an interview, just a photoshoot of four shots with short texts. I don’t know why I was under the impression that Vivek Bhatia was in charge of the photoshoot. Correction: these photos were by Abhay Singh. She gets up with the morning’s prayer on her lips… and the night’s pleasure in her eyes. Is that suggestive or is that suggestive? And the cherry on top? The Filmfare issue also includes a short 10-trivia article on Vidya Balan with photos by Rohan Shrestha [used here][and here]. However, it doesn’t seem to be connected to this mysterious photoshoot that I loved so much. My favorite bit about that? If there are no subtitles in an English film, then I don’t enjoy watching it. The actors speak so softly that I can’t understand the dialogue. I hate to miss even a single word. There’s so many mumblers, nowadays. I do watch everything with subtitles— English, Spanish, French, Portuguese… in that order, and if there’s none available in those, I’ll try to wing it in Chinese.